Today it took two hours to get Community Clean – Up photos arranged and the information from the different crews doing litter pick – up and other work organized. That is amazing. Yes, amazing that I work so slow, but also amazing that we have so many people working to clean up Guymon and get ready for company (OPSU Rodeo on April 25, Pioneer Days the first week in May, and the Five State Motorcycle Run on May 11). It is Spring and there is some serious Spring cleaning going on. This is a public thank you to all of you that are pitching in and giving an hour or two, who are willing to put some sweat equity into the community. There are churches, businesses, individuals, and groups all doing something and expecting nothing back in return. In fact, this month and every other month, you can call the Seventh Day Adventist Pathfinder Club if you are over 60 and need help with yard work, house cleaning, or other odd jobs. Call Pastor Lian at 405-896-0463. There are some things to think about when you do trash pick – up. First, you’re a lot less likely to toss trash out if you’ve spent some timing picking it up. That is why it’s a good thing when you have the young ones go with you on your trash quest. Second, it makes us notice things that we see every day but have stopped actually noticing. It is just a good thing, every way you look at it. Blessings to each and every one of you that has helped in the Community Clean – Up! Now that made me laugh. And laugh. I just laughed again when I typed it. Hope you’re enjoying the Spring weather and the beautiful Redbud trees. Jim Norris is selling chances on 10 pounds of beef tenderloin, 16 pounds of beef rib eye, a box of St. Louis pork ribs, and a 10 – pound box of pork chops to be given away in four different drawings. The proceeds of the drawing go to the Love Does project that helps pay for lunches for kids in school whose family has gotten behind. We all know that education takes a back seat when you’re hungry. And being embarrassed by the free sandwich is tough on kids, so Jim takes it upon himself to help those kids out without knowing who they are or them knowing who has helped. Tickets are $5 each and you can get them at Main Street Guymon or call Jim at 580-651-1018 for a ticket or two. The drawing was going to be on April 12, but that date has been extended. Speaking of food, the Learning to Live Life with Diabetes Support Group meets on Monday, Apr. 22, at 5:30 pm in the beautiful Heritage Community Assisted Living Facility at 501 NE 15th Street. If you’re wanting more information, call Amanda Crawford at 580-338-3186. Did you miss getting your high school diploma and want to go for your GED? There are free classes (although the GED test costs $136) in Guymon at the Academy School North Building, 712 N. Academy. This Adult Basic Education class is offered through Oklahoma Panhandle State University. To learn more about it, call 580-349-1552 (English) or 580-349-1538 (Spanish). Three young kids from a Gruver family volunteered last summer for something called StoryBridge in Amarillo and learned that not all kids have books at home to read. “We were surprised by the number of children who do not have early access to such materials at home,” one of them said. Not everyone has a library in their town. Not everyone lives in town. Not everyone knows about public libraries. Not everyone knows they’re welcome into a library. Not everyone can count on being able to get the books back in time. Whatever the reasons, it is sometimes just nice to have your own book. So, the Gruver kids came home and started to collect children’s books. Nearly 200 of them. And they sent them home with elementary kids from pre – kindergarten to fourth grade. Now the Junior Honor Society is going to continue the program, collecting and organizing book donations for the program. The take board books to chapter books and find good homes for them. It started with learning about other people. Do you have any children’s books that need a new home? If you drop off your books at the Main Street Guymon office at 116 NE Fifth Street or at Brown and Associates Insurance at 917 N. Main in Guymon, then we’ll find good homes for them. Homes that might have kids wanting a book. My favorite children’s book when my kids were little was “Stand back, said the Elephant.” Stand back said the elephant, I’m going to sneeze. I don’t mean to harm you, I don’t wish to alarm you, but I fear, oh, dear …. Yes, you get the idea. Great book! Life is better with books. Life is better when we share books. Life is good on the bricks. We’re gearing up for some community cleaning. It’s Spring and it’s time to get some spit and polish on things. Time to get our trashy selves under control, for sure. The last part of April and through most of May we have lots of company coming to town and we should work to put our best foot forward. It’s just not cool, nor is it necessary, to be that lazy. So, what part of cleaning up are you thinking you want to help with? Or maybe you just want to focus on your own yard and alley … and maybe closet and drawers? You know that if you’re getting on the medicare bandwagon or get your senior citizen discount on McDonald’s coffee, you really need to think about downsizing. I can say these things because I qualify for that coffee discount, too, you know? If we would just go through our “stuff” and toss some of the things that fill the drawers and the closets and the boxes and the attic, then when we move to a smaller place or, let’s just admit it, pass on to what our kids seem to call the icloud, it can help. It can help if our stuff goes where we want it to go. It can help because our kids can grieve (or celebrate, whatever the case might be) without the pressure of cleaning out a bunch of junk, errrr, I mean, treasures. I threw out all sorts of cords that I didn’t know what they went to, nor would I know how to pick them out if I needed them. They went to all sorts of electronic do-dads. They took up a whole drawer. Glad I was saving those. I mean, I could have wrapped them up and given them to someone. To someone I didn’t like so they might feel compelled to store them. Think about it. If you like your kids and grandkids, consider starting a little clear out some stuff. If you don’t like them, get another box and start saving more useless junk. But if that’s the case, then you’ll have time to help us with the community clean – up. In fact, clean up your alley and put that trash in a box and shove it in your garage. That’ll work for me. All kidding aside, a blogger called “FlyLady”, Marla Cilley, has an online support group to help people counter household CHAOS (Can’t Have Anyone Over Syndrome). It seems the basic FlyLady flight plan is to set a timer for 15 minutes every day and pick up items with two bags – one for trash, one for things to be donated. See how much 15 minutes a day can work for you. All of those can be recycled and you need only to bring them by Brown and Associates Insurance office or Main Street Guymon and we’ll get them to where they need to go. Any other ideas of things that can be recycled? Let’s get to work on clearing things out that are cluttering things up. 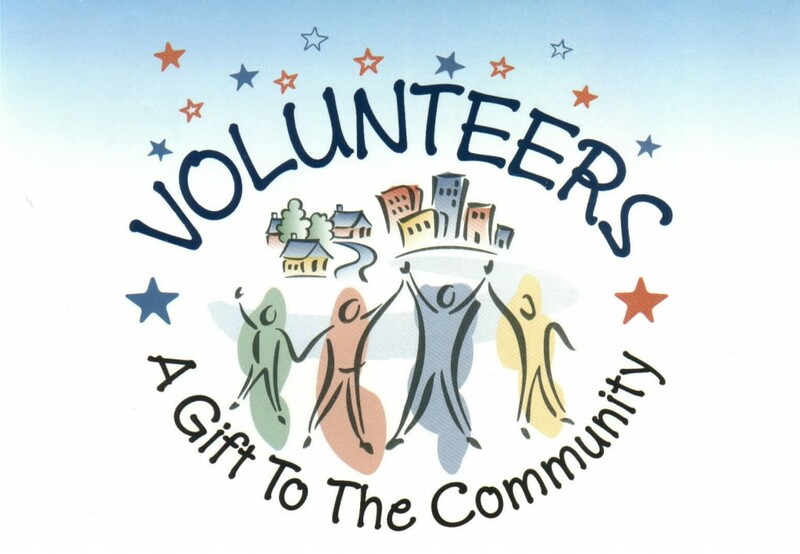 And for those who are over 60 years old or disabled, if you would like some help cleaning up your yard or alley, cleaning house, or doing other odd jobs, you can call 405-896-0463 and talk to the pastor of the Seventh Day Adventist Church about their youth group helping you. Or you can text Jill Kirkwood at 580-651-0512. Some things really don’t make sense. Like the ad that pops up to sell something that blocks pop up ads. Seriously? Mama said if you can’t say something nice, just don’t say anything. So maybe a change in topic is best. Here’s a great little story I recently read, “I was 13 years old, trying to teach my six – year – old sister how to dive into a swimming pool from the side of the pool. It was taking quite a while, as my sister was nervous. It’s not about being afraid. It’s about doing it even when you’re afraid. It’s life. Too often we let our fears rule over us, instead of us ruling over our fears. It’s not the way it is supposed to work. Have you had a dream of starting your own business? Have you let the fear of stepping out and doing it keep you from your dream? In January of 2020, Main Street Guymon is going to have a six – week long workshop about Starting Your Own Business. The cost is $50 per business and that entails one or two to take the classes. They will be held on Tuesday evenings. Think about it. Is this something you need to consider doing? Do you know someone else who might want to attend? Call me at 338-6246 to get on the list to attend. Only 15 people will be accepted into the workshop. Tuesday evening, March 19, from 6 – 8:30 is a free showing of the movie “Oklahoma” at the Guymon Public Library, 1718 N. Oklahoma. Wednesday is the Grand Opening of Gordman’s where Stage was, Northridge Shopping Center in Guymon. The ribbon cutting is at 5:30 pm. Go check it out! Creativity rules at the All Fired Up Art Gallery on March 20 and 22 with their Mini-Art Camp. They have classes for kids from age 5 years and up. The cost is $45 each. Call them at 580-338-4278 for more information. On March 21 is a Boy Scout Luncheon at the Methodist Enrichment Center, 6th and Quinn, from noon to 1 pm. You know, Boy Scouts isn’t just for boys these days. Take time to go see what’s happening in Scouting. The luncheon is open to all. That same day at 5:30 pm is a meeting at Brown and Associates to learn more about Medicare. You need to listen to Dianna, she makes this very confusing process a little more accessible. And you won’t be as apt to make errors if you listen to Dianna. It’s all good in Guymon. Starting your own business can be a daunting endeavor. Any type of business, whether you’re providing a service or a retail business, one that you have to have a building open to the public, one from home, or one that is more industrial – there are a lot of things that you should consider before jumping in to such a project. Those who do plan well, have a better chance of being successful. They also have a better chance of getting funded. The Main Street Guymon Business Development Committee would like to help those who have thought about being their own boss. In January they offer a workshop, one evening a week for six weeks, from 7 – 8:30 pm, that addresses aspects an entrepreneur might need to consider before opening shop. The workshop is geared for all types of business ideas and is open to all ages. The workshop addresses types of businesses, legal, financing, permits and licenses, sales tax, start up costs, demand, target markets, location, insurance, e-commerce, promotion, bookkeeping, bank services, and management. The cost is $50 per business to register to attend and this fee allows up to two people per business to attend. The maximum for attendance is 15 people, so that each person / business idea can get specific attention. Area business owners and managers are going to be asked to address the topics that they have expertise and experience in doing. 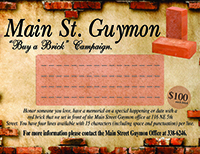 For more information about becoming your own boss, contact Melyn Johnson at Main Street Guymon, 580-338-6246 or Director@MainStreetGuymon.com. The last part of the article that tells how to be a better conversationalist from the November Toastmaster magazine talks about a balanced conversation. “Allow the other person to speak as often as you do. Keep in mind that you can’t control other people’s behavior. That means you can’t prevent them from talking too much, interrupting you or rambling on about irrelevant subjects. Therefore, it’s best not to expend mental energy worrying about someone else’s conversational etiquette and instead focus on what you can control – namely, your own habits. “Pay attention to how often you allow the other person a chance to respond. The best conversations resemble a friendly game of catch, in that there’s a perfect balance between throwing and catching. Attention spans have been shrinking for at least the past two decades, so if you talk for more than 30 seconds at a time, it’s likely you’ve lost the other person’s focus. “Help them stay engaged and remain focused by keeping it brief. An easy way to do that and to ensure what you’ve said will be understood and remembered is to talk about one thing at a time. “If someone asks what you did over the weekend, don’t start with Friday afternoon and give them all the details you can remember. Instead, give the bullet points and allow them to respond.” Or just focus on one aspect that who you’re talking to might be more interested in hearing. 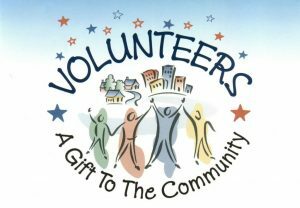 Would you like to be a part of the Community Clean-Up in April? We sure need your help. Whether you have 30 minutes or 2 hours to give, we need help on this Spring cleaning of our community. What part of cleaning up would you like to take part in? You have your choices … litter pick up in your favorite park, alley cleaning in your own alley, limb and trash pick up for elderly, cleaning up at the nursing home or along the highway and roads you drive every day. What clean up project would make you happier? Now get a couple of people you enjoy being around and plan to do that project together. Call me while you’re figuring it out. My number is 580-338-6246.